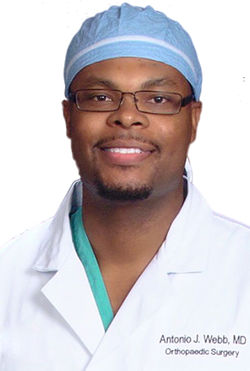 Dr. Antonio J. Webb, M.D. The odds were stacked against Antonio Webb, beginning with his childhood in Shreveport, Louisiana. Friends and family members were serving jail time, or addicted to drugs. Some close friends were even killed amidst the challenges of the neighborhood.